Coleman specializes in producing reliable, high-efficiency HVAC products like the Coleman LX TCJF central air conditioner. It delivers good efficiency and dependable service at a very affordable price. That value was what attracted Benjamin in eastern Ohio to it. He shares an HVAC prices post with us and passes along the Coleman LX Series Model TCJF 14.5 SEER central air conditioner price he paid for his. We always appreciate the chance to pass along the central air conditioner prices we get to our readers, so thanks to Benjamin! “This site was extremely helpful as I researched a central A/C unit to add to my current furnace system. I was sold on a specific brand I won’t mention because of the value models they have, but when I had the dealer over to look at the job I was totally unimpressed. I might have gone with it anyway, but I’ve read here how crucial it is to find the right contractor – just as important as finding the right unit. So, I called several other dealers that have more budget-level models and was most impressed with the Coleman dealer. He’s the owner and said he always gets his crews started on a job but that with an average of 12 years experience in installation they all know exactly what they’re doing. Sure enough, he and his crew showed up here on schedule. He worked with them for about an hour. I heard the crew member going over what they were going to do once he left. He gave them a ‘sounds good’ and told them to call him when they were wrapping up. Two hours later he showed up as they were finishing. He went over everything, took time to answer my questions and give me the overview of the Coleman LX Series Model TCJF and that was it. They did a great job cleaning up and the A/C has worked well. It seems completely compatible with my gas furnace’s blower and is sized well for my home. On even the hottest days, the entire house is very comfortable and the humidity level is way down. 14.5 SEER performance which qualifies as an Energy Star product. Quiet and efficient high-tech compressor with sound insulators. Uniquely designed fan coil guard reduces noise and protects the internal components. Uses R-410A refrigerant that is environmentally neutral. MicroChannel coil is all-aluminum for resistant to corrosion. Permanently lubricated fan motor never needs maintenance. 10-year warranty on the compressor and parts; extended warranty to cover labor is available. When you buy a new central air conditioner, you want to make sure you are getting performance and high-efficiency energy savings you expect. The best way to ensure this is to have a qualified contractor install, run and test your unit t make sure it is running properly and adjusted for best performance. 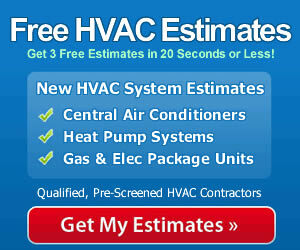 You’ll have a more comfortable home and a central air conditioner that will give you better service for years.